Can be 3D die casting, or enamel logo. Several kinds ribbon for your choose. Antique gold and antique silver Design: Customized Ribbon: Country ribbon . 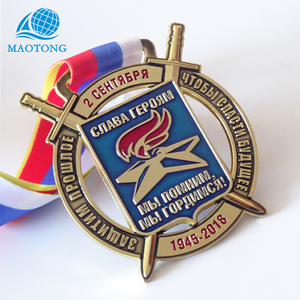 Custom hot sale cheap metal sports marathon medal Most of our products are customized. Q: Are you a factory or trade company9 A: We are the factory with a trading department. Q: How long is the lead time9 A: 3 days for sample order and one week for mass production. Processing: Stamped brass and iron, such as die casting, spin casting also can be available. Attachment: Key ring and chain, leather string lanyards etc. 9.we are one of professional suppliers in promotional gifts for many years. Alibaba.com offers 100,606 metal medal products. About 90% of these are metal crafts, 54% are souvenirs. 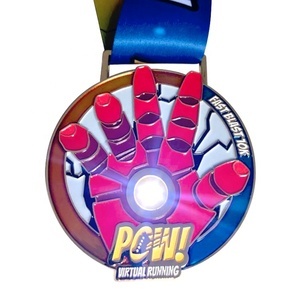 A wide variety of metal medal options are available to you, such as model, badge & emblem, and bookmark. You can also choose from sports, letters, and mascot. As well as from souvenir, business gift, and art & collectible. 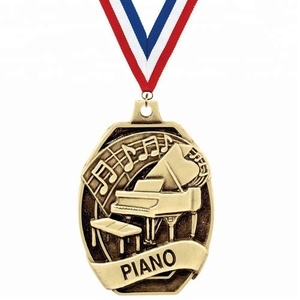 And whether metal medal is polished, carved, or painted. 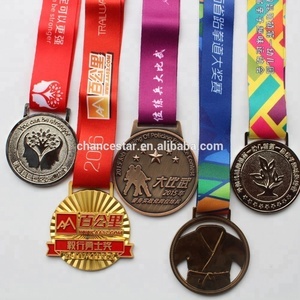 There are 100,606 metal medal suppliers, mainly located in Asia. 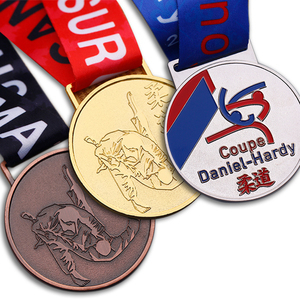 The top supplying country is China (Mainland), which supply 100% of metal medal respectively. 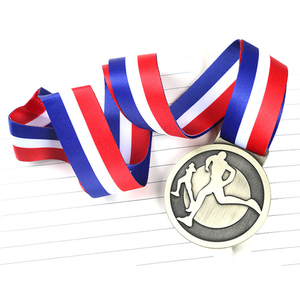 Metal medal products are most popular in North America, Western Europe, and Domestic Market. You can ensure product safety by selecting from certified suppliers, including 7,140 with Other, 5,429 with ISO9001, and 1,295 with BSCI certification.